The battle of the Wildcats will feature two teams with dissimilar personnel backgrounds. Kentucky’s roster is littered with 5-star recruits. John Calipari’s recruiting blueprint includes signing players with ample length, athleticism, and lateral quickness. In Calipari’s mind, perimeter shooting deficiencies can be mitigated by boasting the most NBA-like team from a physical standpoint. Kansas State — on the other hand — has a collection of under-the-radar players rooted in toughness. Bruce Weber’s team will be making its first appearance in the Sweet 16 since 2010. With the injury to leading scorer Dean Wade, K-State has been forced to play a three-guard line-up. Wade’s health is imperative for any semblance of success. At 6’10”, he leads the team in scoring (16.3 PPG), rebounding (6.3 RPG), and three-point field-goal percentage (44.0-percent). Wade’s ability to stretch the floor should (in theory) open up driving lanes for the likes of Barry Brown and Xavier Sneed. As for Kentucky, Shai Gilgeous-Alexander has been the team’s best player for the past month. His all-around game has been punctuated further by fantastic shooting numbers. Wenyen Gabriel has been a revelation off the bench, and the duo of Hamidou Diallo and Kevin Knox has been a handful thus far in the tournament. Kentucky’s length and overall size will bother K-State in this contest. Though the Wildcats will likely want to go small, Gabriel and Quade Green have the foot-speed to disrupt any sort of offensive rhythm. These two will be immensely significant when UK adjusts to any of Weber’s wrinkles. 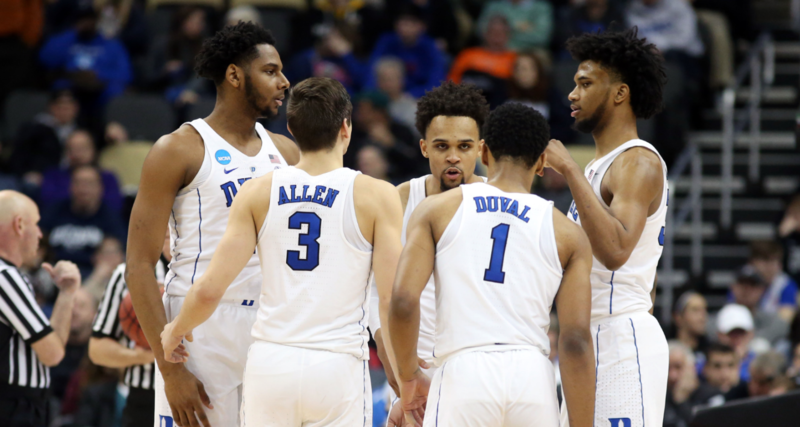 In a game featuring considerable athletic mismatches, one would hope the perceived underdog has high shooting percentages from beyond the arc. Unfortunately for K-State, the team shot a mere 34.3-percent from three on the season — including 1-of-12 in its round of 32 victory over UMBC. The fact that Wade has missed three-straight games with a foot injury — including two tournament games — is not a good sign. He may play, though having to face a team of Kentucky’s ilk in his first game back is far from ideal. The two darlings of the tournament will square off in this intriguing Sweet 16 contest. 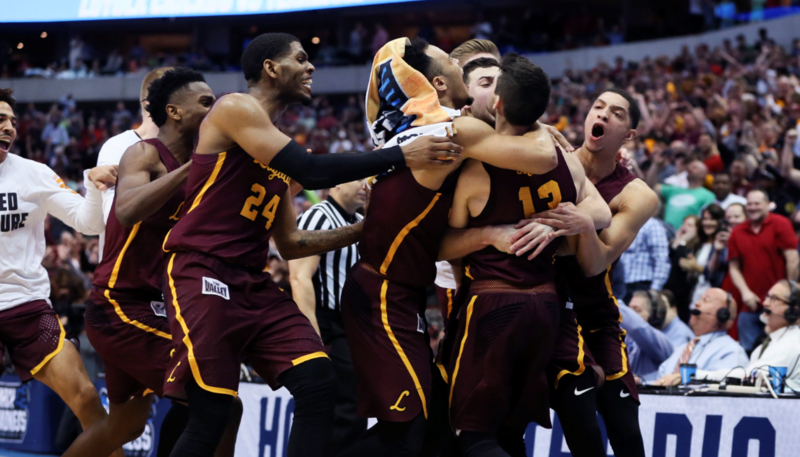 Loyola-Chicago has acted as a giant slayer thus far — knocking off both Miami and Tennessee on buzzer-beaters. Fundamentally sound on both ends of the floor, head coach Porter Moser has his team playing with a ton of confidence. Nevada also got to the Sweet 16 in exhilarating fashion. The Wolf Pack bested Texas in overtime, and roared back to upset Cincinnati after being down 20 points with 10 minutes to play. Both teams play with their own distinct style. Loyola-Chicago is an excellent defensive team — ranking No. 13 in the country in defensive efficiency and No. 5 nationally in points allowed per contest (62.2 PPG). On the other side, Nevada lights it up on the offensive end — scoring 83.0 PPG. Musselman’s team has four players averaging at least 13.0 points per game. The fast-paced, frenetic offensive scheme enables balance both from the perimeter and inside the paint. Though Nevada isn’t a household name, the Wolf Pack possess better talent than Miami or Tennessee. Buoyed by transfers from North Carolina State (Caleb Martin, Cody Martin) and Purdue (Kendall Stephens), this isn’t your average mid-major squad. The Wolf Pack play only six players — though five of them are 6’7″. Nevada can switch on every screen defensively. On the offensive end, all six possess play-making skills. The Martin twins are equally effective in driving the lane as they are posting up beyond the three-point line. Stephens is a marksman from three, and big man Jordan Caroline is versatile both scoring and passing the basketball. Simply put, this is the best team Loyola-Chicago has faced thus far in the tournament. Though Nevada doesn’t possess elite size down low, the Ramblers aren’t overly big themselves. As such, Nevada’s weakness of defensive rebounding shouldn’t be exploited. Without question, the team controlling the pace will win this game.